The three day event explored a variety topics from ethical leadership and management to roles of social entrepreneurs and impact investing for environmental sustainability. 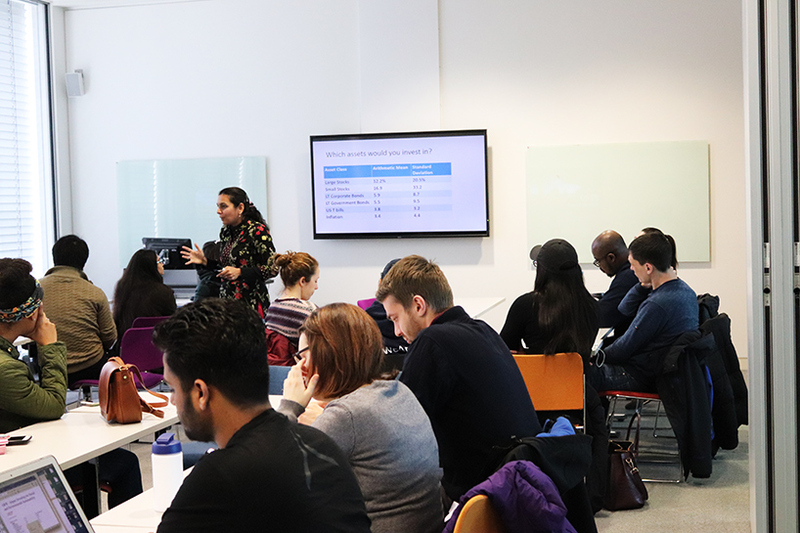 Global Responsibility Week welcomed colleagues from partner institutions around the world who presented a variety of topics to staff and students here at Nottingham Business School. The three day event saw colleagues travel long and far to share their knowledge and expertise. Varkey George from University of Stellenbosch in South Africa joined us to talk about the value and role of the social entrepreneur. He explained that social entrepreneurs are being recognised for the work they do to alleviate poverty and finding unique solutions to problems of poverty. Varkey explored development theories and discussed new ways of doing business in the social, private and public sectors. He provided in depth reflection opportunities for students to engage in thinking about how they can have a fulfilling life by being a social entrepreneur; someone who can find their niche in society through solving social issues and keeping the activity sustainable. Madhvi Sethi delivered a session about impact investing and the rise of it being considered a new form of social capital. Her session was aimed at introducing students to the eco-system of impact investing and discussing its past, present and future applications in the financial environment. She explored the concept of actively placing capital in businesses and funds that generate social and/or environmental good and seeing nominal principal return for the investor. Madhvi is an Associate Professor in the area of finance at Symbiosis Institute of Business Management, India. Her research interests lie in the area of financial markets, financial economics, mergers and acquisitions and capital structure decisions. Anne-Laure Boncori from INSEEC Business School in France discussed the concept of global value chains and how companies have reorganised the production processes at a world scale. She explored the ways in which companies redefined their core competencies to focus on the highest value-added segments of manufacturing and services. 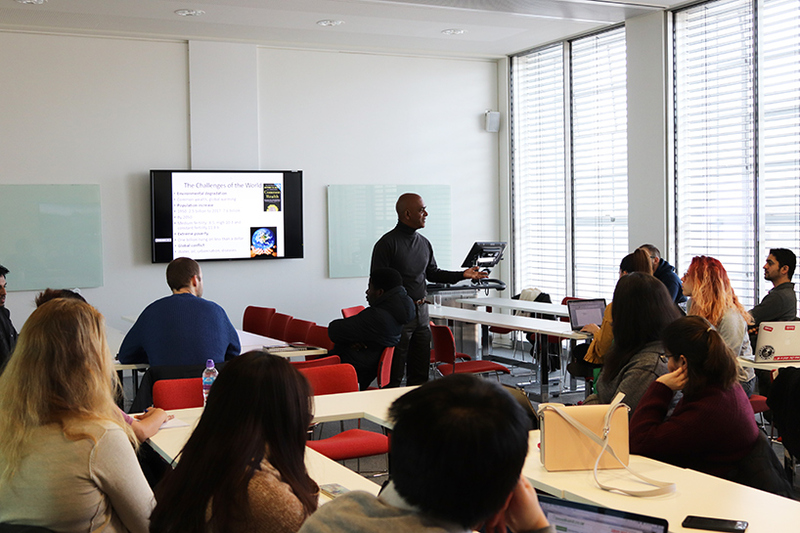 Anne-Laure challenged students to apply some of the most advanced analytical tools in the strategy field to further develop their understanding of global value chains. 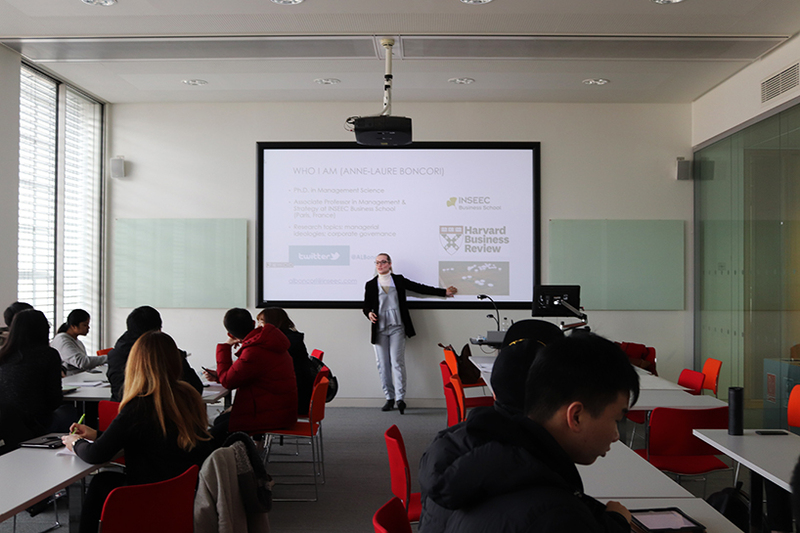 Global Responsibility Week is part of Nottingham Business Schools commitment to meaningful internationalisation, and aims to introduce staff and students to international partners. Please visit our Global Responsibility Week page for more information about how you can get involved in future years activities.